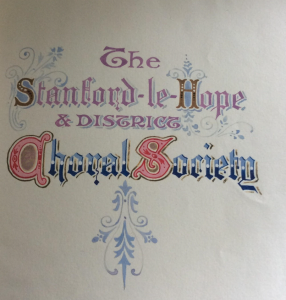 A beautifully bound choral score has recently been found in a Herne Bay jumble sale, and the finder has asked me to find out more details about the original owner, a Miss Constance Franklin. 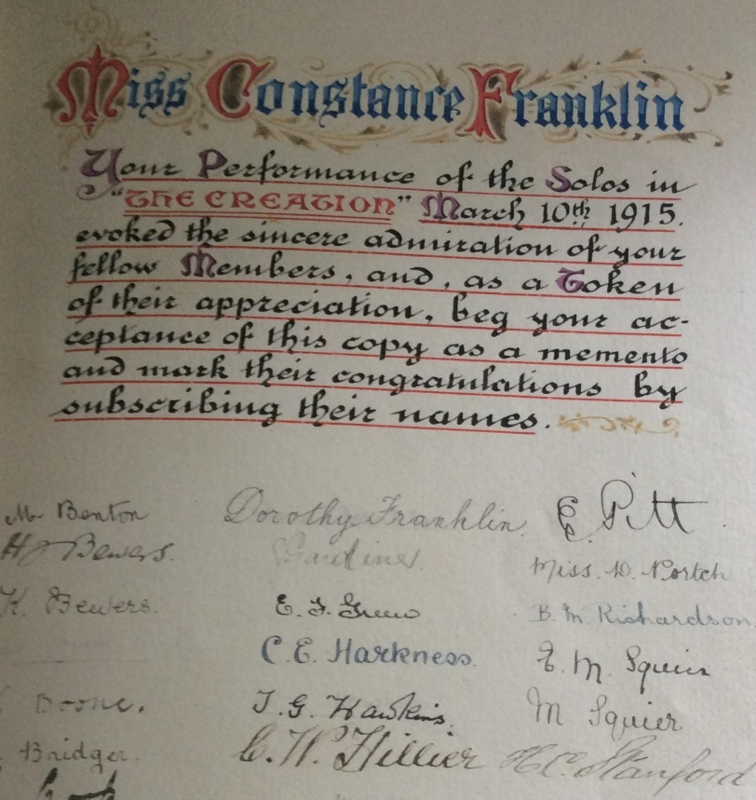 Constance was presented with the score after performing the solos in ‘The Creation’ on March 10th 1915. Her singing ‘evoked the sincere admiration’ of her fellow members of the Stanford le Hope Choral Society in Essex, many of whom have signed the frontispiece. So far, I have discovered that she was one of five children, born in Hackney on 1 August 1894. Like so many women of her generation, she never married. She worked as a bank clerk and died in Cambridge in 1969. How did her book find its way to Kent? I will be doing more research into Constance and her siblings, and will let you know what I find out. If anyone knows anything about her please get in touch. P.S. 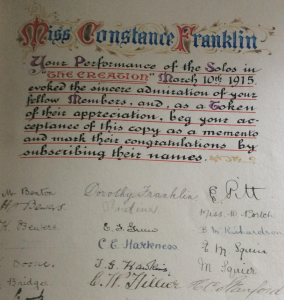 Since I wrote the rest of this story I have found that one of Constance’s sisters outlived her, dying in Herne Bay. Presumably many of her possessions found themselves in local charity shops or house clearers, including the beautiful book.